Being in a management position is not an easy task. Together with delivering quality work on time, you are responsible for keeping an eye on your teams’ performance. Performance management of issues with poor results or conduct are especially tricky. One of the biggest challenges of performance management is finding a balance between authority and maintaining relationships with team members. “Step into my office” or “let’s have a chat” are words everyone wants to avoid. Coming off too weak can lead to major issues and set a poor precedent. But, coming off too strong can create an awkward and stressful work environment. Or, avoiding poor performance issues at all can become even more problematic. Successful managers understand how important it is to put proper systems in place for dealing with poor performance. They understand the value in helping others through teaching and supporting rather than exercising power and control. These simple strategies make the process pain-free for both the manager and employee and unlock high performance. It’s human nature to avoid confrontation. But as a leader, it’s your responsibility to support growth and development for employees. Performance management not only includes praising high performers and giving promotions, but also acknowledging those who need to make improvements. Ignoring poor performance sends a message to other team members that this is the new “standard” and lowers the bar for everyone. It is important to understand that employees are not mind readers. They need to be told what is, and what isn’t working to improve their own performance. Providing quality feedback means communicating honestly about the good, bad and ugly…consistently and constructively. However, there are more effective ways than others in delivering feedback. Studies show that people respond better to positive feedback. Instead of focusing on negative aspects of the team member’s performance, try focusing on the positive. This helps them identify what behaviour needs to be repeated. So they will be more likely to repeat that behaviour in the future. Successful managers understand the power of positivity. Just as it is important to acknowledge slip-ups, recognizing improvements and jobs well done boosts employee morale and further reinforces their positive behaviour. 3. Recognize strengths to empower and motivate. Instead of focusing on what the employee can’t do, focus on what they can. Affirmation of a strength is much more impactful in improving performance than recognition of a weakness. Adopting a strengths-based approach to performance management means recognizing and building on what team members are good at and tapping into their natural talents. This inspires employees and gives them confidence in their abilities to tackle challenges and make improvements. Psychologist Martin Seligman, advocate of the strengths-based approach and the man behind one of the strength finder tools called VIA Survey, found that people who can identify and use their top character strengths at work are more likely to experience job satisfaction, pleasure, engagement and meaning in their work. This directly impacts productivity and performance. Studies show that 78 percent of employees said that having their personal strengths recognized motivates them in their job. 4. Match personal strengths with responsibilities. One of the most effective ways a manager can drive motivation and increase performance is to put people in the right roles. Poor performance could be a result of a misalignment between an employee’s personal strengths and responsibilities. Sometimes managers need to reassess and rearrange a team so that employee’s talents and personal strengths are better matched with their responsibilities. Giving people work that they are good at and that they enjoy is an obvious yet widely overlooked path to success. 5. Ask the right questions. You don’t know what you don’t know until you ask the right questions. One of the easiest ways to start a feedback session is to start a conversation by asking an employee what they think. It not only helps managers get a grip on the situation, but also forces the employee to think about their own performance. Managers who ask smart questions are more likely to get actionable responses from employees. This may include questions like “How do you think you are doing?”, “What needs to happen to improve your performance in this area?”, “What does success look like?”, “What is most important in this situation?” or “What can I do to support you?”. Answers to such questions become conversations that transform into action. Holding employees accountable does not mean placing blame, but rather allowing them to be responsible for their own actions. 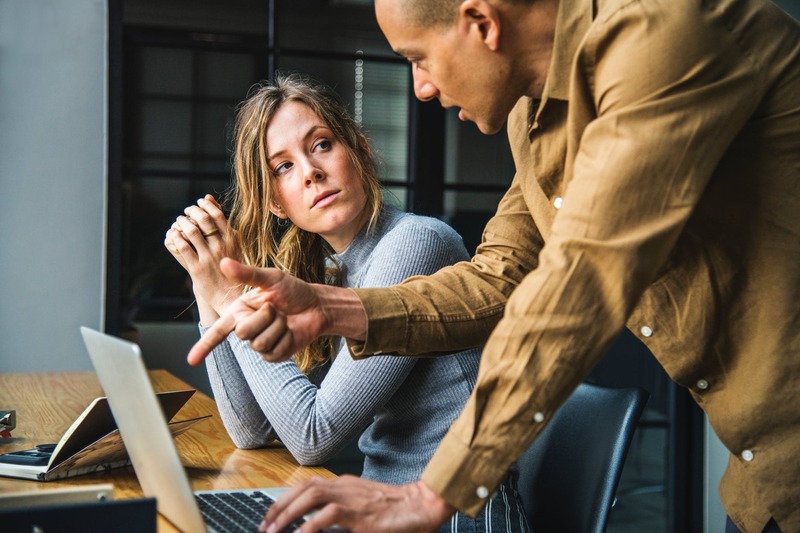 Asking tough questions where a team member can reflect on their own performance is much more meaningful in the pursuit of action and improvement. People are more likely to put effort into something they feel pride for and ownership of. Remember that being a successful manager involves more than just improving the business. It involves coaching and mentoring team members to success and supporting growth. Being a manager means helping others grow and improve by spending time supporting and teaching them. Help them recognize their personal strengths to overcome weaknesses, provide them with great feedback, ask them the right questions and offer support. Involving them in fine-tuning that action plan is even better so that they can be accountable for their own performance. To unlock the full potential of your team performance management, the first step is to identify team strengths by using one of the strength finder tools or personality tests. You can take the Team Strengths Assessment by HIGH5 here – high5test.com/team-report.